I heard that my food choices can affect the use and therefore availability of fresh water around the world. How so? 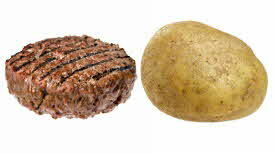 2,400 liters of water go into the production of one hamburger, while only 25 liters are needed to produce a potato.